The predecessor to the Santons Fair was known as the Market of the Festival of Saint Barbara. It was the largest annual gathering in the city. In December 1934, Jean Baptiste Fouque and his son Paul came to this market to sell their Nativity figurines and over the years were joined by other figurine-makers. And that is how this famous annual Santons Fair came into being. 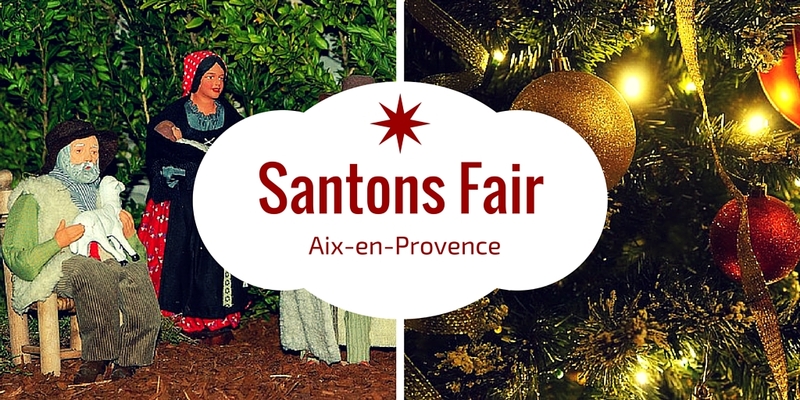 The traditional Aix en Provence Santons Fair is a real showcase for santon-makers’ expertise.It is the perfect opportunity to discover new characters and either start or add to your own nativity scene. At the same time, a large traditional nativity scene is on display at the Cours Mirabeau (next to Monoprix), the result of a collaboration between Aix figurine craftsmen. The Santons Fair is inaugurated on November 29th at 10am in the Saint-Jean Baptiste du Faubourg Church, with traditional Provencal songs from the Cantarellosestiano and the Provence santon-makers mass. At 11.30am, the Fair is inaugurated to the sound of traditional Provencal pipes and drums and folk groups on the Général de Gaulle place.